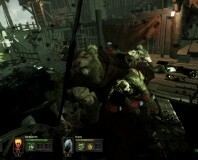 Focus Home Interactive and Rogue Factor have announced their follow-up project to 2014's Mordheim: City of the Damned, and it's good news: It's the Necromunda game for which fans have been clamouring for years. When Focus Home Interactive announced Mordheim: City of the Damned, the comments were clear: 'just make a damned Necromunda game already!' Following those cries, that's exactly what the company is doing, announcing a fresh collaboration with Games Workshop to create Necromunda: Underhive Wars, currently in the works at Montreal-based Rogue Factor, founded in 2013 and responsible for development of Mordheim. No launch date has yet been tabled for the game. Fatshark's ratty take on the Left4Dead formula is sporadically fun but ultimately inferior. 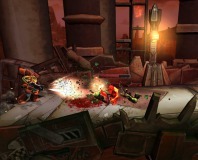 The Warhammer 40,000 franchise is getting its own side scrolling action RPG. 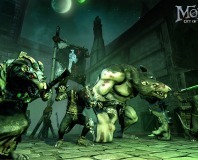 Mordheim is getting the video game treatment later this year with Mordheim: City of the Damned.